KTH is the first Swedish University to offer Impacter. Impacter has just launched in Sweden! Impacter is a software platform that helps researchers to write better grant proposals. Impacter supports researchers while-they-write. 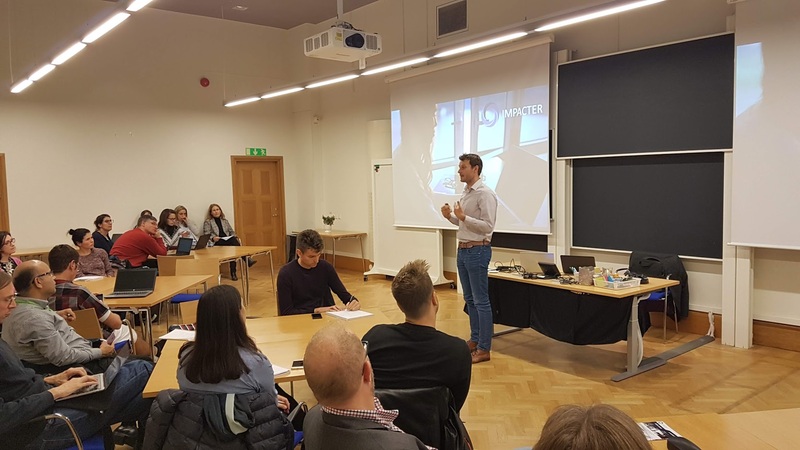 The KTH Royal Institute of Technology in Stockholm is the first Swedish university to provide its researchers with the opportunity to improve their Horizon 2020 grant proposals with the help of Impacter. Impacter checks for common pitfalls in the societal impact paragraph, and provides feedback within minutes. The tool thus enables the researcher to improve immediately as they work on their grant proposal. In addition to spotting opportunities for improvement, Impacter compares the envisioned project projects to its’ Funded Projects database. This database contains approximately 250.000 funded research projects from across the world. With this analysis, writing researchers can connect to other researchers and organizations in their field and become inspired by how others phrased their project. For more information and to request a demo, please visit Impacter.eu or send an e-mail to Paul Tuinenburg.